Kathryn J. Age 92 of 241 Pattison Ext., Elkland, PA, Friday, August 3, 2001 at Sweden Valley Manor, Sweden Valley, PA. She was born May 10, 1909 in Inez, PA, the daughter of George and Etta Mae Jones Jeffers. She was a homemaker and she worked for many years as a cook and waitress at the Penn Elk Hotel, Elkland, PA. Survived by son and daughter-in-law, Arthur and Rose Marie Wheeler, RR, Lawrenceville, PA; daughter and son-in-law, Evelyn and Donald Miles, Elkland, PA; brothers and sisters-in-law, Jack and Honey Jeffers, Elkland, PA, Gerald and Irene Jeffers, Springville, NJ and Howard and Anita Jeffers, Oakland, CA; brother, Robert Jeffers, Woodhull, NY; sisters, Betty Sherman, Elkland, PA and Susie Lehman, Elkland, PA; sister-in-law, Wanda Lamb, Wellsburg, NY; grandchildren, Connie and Cliff Kuss, Canandaigua, NY, Donald and Alicia Miles, Newark, NY and Linda and Gary Gerow, RR, Lawrenceville, PA; ten great grandchildren; eight great great grandchildren; several nieces, nephews and cousins. She was preceded in death by her husband, Edward, in 1993; a son, Eugene; and grandchildren, Joyce, Tommy and Danny Wheeler. Friends are invited to call at the Kenyon Funeral Home Inc., 214 West Main St., Elkland, PA, Monday from 1-2 PM where funeral services will be conducted at 2:00 PM immediately following the visitation. Rev. Robert Ford will officiate. Burial in Highland Cemetery, Elkland, PA.
Ira Keeney aged 88 years, died at the home of his son-in-law, John Flynn at Toledo, Ohio, Aug. 15. He was born at Keeneyville, PA., February 15, 1843, and spent the greater part of his life in Tioga County. He resided in Elkland nearly 35 years. He was a veteran of the Civil War and was the last survivor of Co. L Second PA Cavalry, which served with distinction. Mr. Keeney went to Toledo about two and one-half years ago to make his home with his daughter, Mrs. John Flynn. Mrs. Flynn died about a year ago and he continued to reside with his son-in-law. Mr. Keeney is survived by two sons, Richard S. of Berkshire, NY and Milton L. Of Buffalo. The funeral was held Tuesday, Rev. Peter Van Duren officiating; interment in Highland Cemetery at Elkland. KELLY Harriet M. Fillman – Mrs. H.M. Fillman, of Elkland, died Thursday morning at 6:45, following a few days’ illness, caused by a stroke which she suffered about a week before. Mrs. Fillman is survived by one son, Fred, of New York city, and one sister, Mrs. Sophia Graves, of Elmira. Wellsboro Agitator, 25 June 1919. KELLY Harriet M. Fillman – Mrs. Harriet M. Fillman, for nearly fifty years a resident of Elkland, died June 19, after a nine days’ illness, brought on by a stroke of paralysis, aged nearly 78 years. Mrs. Fillman was a daughter of Amos and Eliza E. Kelly and was born in Southport, N.Y., December 18, 1841. At the age of 16 she was married to Andrew Jackson Fillman, at the home of her sister, Mrs. Perry Fillman, who then resided in Lindley, N.Y. About fifty years ago, she and Mr. Fillman moved to Elkland and ran the Elkland Hotel. Later they entered the mercantile business, but owing to failing health Mr. Fillman was obliged to retire from business activities, and purchased the property on Buffalo street where Mrs. Fillman opened a millinery parlor which she continued to operate until the time of her death. Mrs. Fillman preceding her by about twelve years. She is survived by one son, Fred Fillman, of New York city; one sister, Mrs. Sophia Graves, of Elmira; one brother-in-law, Perry Fillman, of Elkland, and several nieces and nephews. Wellsboro Agitator, 2 July 1919. Age 84, of 507 W. Main St., Elkland, PA, died January 5, 2009 at Soldiers and Sailors Memorial Hospital, Wellsboro, PA. He was born September 3, 1924 in Elmira, NY, the son of Thorne A. and Frances Cornelius Kenyon. He married the former Florence Rowse July 5, 1947 and were married for over 61 years. He was a 3rd generation Funeral Director, Past President, Vice President, Secretary and Treasurer of the Pennsylvania Funeral Directors Association, Past District Governor of the National Funeral Directors Association, member of the Elkland Lions Club, Elkland Industrial Authority and Boro Authority, Board Member of the Tioga Co. Development Corp., Tioga Potter Funeral Directors Association, Commonwealth Bank Advisory Board Member, Osceola Lodge #421 F&AM, VFW, American Legion, Board Member of the Annual Support/Friends of Laurel Health System, former Advisory Board Member of Robert Packer Hospital, Parkhurst Memorial Presbyterian Church Elder, and former Sunday School Superintendent, Charter Member of the Elkland Moose and a World War II veteran of D-Day plus One. He is survived by his wife, Florence; sons and daughters-in-law, Robert A. and Judy Kenyon, Lawrenceville, PA, John C. and Melanie Kenyon, Elkland, PA; grandchildren, Justin, Jeremy, Jessica and Jordan; sister, Florence Tucker, Elmira, NY; two nieces and one nephew. Friends are invited to call at the Kenyon Funeral Home, 214 Main St., Elkland, PA, Friday from 2:00 to 4:00 p.m. and 7:00 to 9:00 p.m. Funeral services will be held Saturday at 11:00 a.m. at the Parkhurst Memorial Presbyterian Church, Main St., Elkland, PA. Rev. Dorothy Densmore officiating. Burial will be in Highland Cemetery, Elkland, PA. Memorial donations may be made to the Parkhurst Memorial Presbyterian Church Building Fund, c/o Ola Whitehill, 627 W. Main St., Elkland, PA 16920. Cynthia K. Age 53, of 109 West Woodlawn Ave., Elkland, PA, died Saturday, March 3, 2007, at Strong Memorial Hospital, Rochester, NY. She was born October 27, 1953 in Wellsboro, PA, the daughter of Eugene and Elizabeth Baldwin Kilburn. She was a homemaker. She is survived by: daughter and son-in-law, Rebecca and Jody Smith, Rochester, NY; grandsons, Kyle Smith, Rochester, NY, and Evan Smith, Rochester, NY; son, William Hackett and Nicole Eberle, Rochester, NY; sister and brother-in-law, Valerie and Robert Parker, Rochester, NY. She was preceded in death by her husband, Donald in 2005; father, Eugene "Bill" Kilburn in 2001; and mother, Elizabeth "Betty" Kilburn in 2007. Friends are invited to call at the Kenyon Funeral Home, 214 Main St., Elkland, PA, Saturday, March 10, 2007, from 10:00 a.m. to 12:00 noon where a memorial service will be held following calling hours at 12:00 noon. Fr. Joseph McNamara, offc. Burial will be in Highland Cemetery, Elkland, PA. The family respectfully declines flowers. Memorial donations may be made to the Elkland Public Library, 110 Parkway Dr., Elkland, PA 16920. Frances Kilburne, 80, of 723 Seneca Place, Elmira, N.Y., died Monday, Aug. 31, 1987, at St. Joseph’s Hospital in Elmira. She was born July 22, 1907 in Law-renceville, the daughter of Charles and Clisty Mosher Dates. A homemaker, she was a member of the Elmira Moose and the Elmira Heights American Legion. Her husband, Herman Kilburne, preceded her in death. She is survived by four daughters, Gertrude Tripp of Genesee, Betty Kilburne of Erie, Priscilla Morgan and Patricia Gunderman, both of Elmira, N.Y.; four sons, Herman Kilburne Jr. of Elkland, Dale Kilburne of Louisville, Ky., Roger Kilburne of Elmira, N.Y., and Jack Kilburne of Tampa, FL; two brothers, William Dates and Raymond Dates, both of Elmira, N.Y.; 32 grandchil-dren; 58 great-grandchildren; and several nieces, nephews and cousins. Friends called at the Kenyon Fu-neral Home in Elkland Wednesday, Sept. 2, where services were con-ducted Thursday, Sept 3. The Rev. Robert Goodrich officiated. Burial was made in Highland Cemetery in Elkland. Gordon I. Knickerbocker, 69, of 104 Taft Ave., Elkland, died Monday, April 6, 1992, at home. Born April 18, 1923, in Germania Station, he was the son of Leonard and Ruth Conable Knickerbocker. He was a long time employee of the Elkland Leather Company and he retired from Corning Inc.'s Fall Brook Plant with 15 years of service. He was a veteran of the United States Army who served in Europe during World War II. He was an avid hunter, trapper and fisherman. He was also active with youth baseball programs in the local area, working mainly with Babe Ruth and American Legion teams. He had played minor league baseball for the Boston Braves, Chicago Cubs and New York Yankees. He was inducted into the Tioga County Sports Hall of Fame in 1990 and served three years on the board of directors for that association. Surviving are his wife of 45 years, Verna Spencer Knickerbocker; two sons and daughters-in-law, Leonard and Vickie Knickerbocker, of Elkland, and Harold and Mary Denton, of Elmira, N.Y.; one daughter and son-in-law, Victoria and Joel Cumberledge, of Knoxville; three sisters, Virginia Burrous Johnston, of Galeton, Mondaine Burton and Charlotte Ellis, both of Woodhull, N.Y.; three grandchildren, Traci Persing, Kim Knickerbocker and Ward Knickerbocker; one great-granddaughter, Megan Persing; several nieces, nephews and cousins. Calling hours were held at the Kenyon Funeral Home, Elkland, on Tuesday, April 7. A private service will be held at the convenience of the family. Burial will be made in Highland Cemetery, Elkland. The family will provide the flowers. Memorial donations may be made to any Elkland youth baseball program. Vera Blend Of Horseheads, NY Age 74 of #40 Ridge Road, Horseheads, NY, died Saturday, June 3, 2000 at St. Joseph's Hospital, Elmira, NY. She was born September 13, 1925 in Tuscarora, NY, the daughter of Theodore and Ella Faulkner Blend. She was a homemaker. Survived by daughter and son-in-law, Patricia and Dennis Peel, Walkersville, MD; son and daughter-in-law, James and Patricia Knowles, Horseheads, NY; granddaughter, Jennifer Barnes, Frederick, MD; grandson, Cory Peel, Walkersville, MD; great-granddaughter, Alexis Barnes, Frederick, MD; brothers, Wellington Blend, Elkland, PA, Theodore Blend, Buckhannon, W.VA, Martin Blend, Landing, NJ and Collis Blend, Elkland, PA; sisters, Mrs. Dorothy Doland, Horseheads, NY, Mrs. Florence Edwards, RD, Elkland, PA, Mrs. Ella Kipferl, RD, Lawrenceville, PA, Mrs. Elma Hornbrook, Elmira, NY, Mrs. Wanda Jankowski, Addison, NY and Mrs. Wilma Duberstein, Tuscarora, NY; several nieces and nephews. She was preceded in death by her husband, Charles, and a sister, Edna Tunison. Friends are invited to call at the Kenyon Funeral Home, Inc., 214 West Main St., Elkland, PA, Sunday from 2-4 and 7-9 PM. Private funeral services will be conducted at the convenience of the family. Burial will be in Highland Cemetery, Elkland, PA.
KREISLER Richard C. Age 90, of Elkland, PA, died July 17, 2006 at Broad Acres Nursing Home, RD. Wellsboro, PA. He was born June 19, 1916 in Elkland, PA, the son of John and Lena Backus Kreisler. He was an employee of Elkland Leather Co., an avid sportsman and outdoorsman, and loved politics. He is survived by daughters and sons-in-law, Pamela and Richard Harris, Swampscott, MA, Paula and Frank Velluto, Melrose, MA; grandchildren, Michael, Michelle and Melissa Harris, Juli Ann and Christopher Velluto; brother, Wendell Kreisler, RD. Westfield, PA; several nieces, nephews, and cousins. He was preceded in death by his wife, Clara, December 23, 2005. Graveside services will be held Wednesday at 10:00 a.m. at Highland Cemetery, Elkland, PA. Rev. Robert Goodrich officiating. Memorial donations may be made to Broad Acres Nursing Home, RD. Wellsboro, PA 16901. Arrangements are in care of the Kenyon Funeral Home, Elkland, PA.
LAIDLAW, Bert – Bert Laidlaw, of Elkland, R D 2, who has been very ill with lung trouble, following an attack of influenza and pneumonia, died Wednesday morning. Mr. Laidlaw had shown signs of improvement the past week and was planning to leave for the hospital to receive treatment. Wednesday morning, the day set to leave the hospital, he was taken violently ill and died within a few hours. He is survived by his wife and four children. – Journal Wellsboro Agitator, 12 March 1919. LARRABEE,Gordon H., 65, of 307 Parkhurst St., Elkland, Pa., brother of two Waverly residents, died Thursday, Jan. 17, 1974. Surviving are his wife, Dorothy; a son, Lanny Larrabee of Osceola, Pa.; two daughters, Lorraine and Amy, both at home; his step-mother, Mrs. Edith Larrabee of New Albany RD; four brothers, Raymond Larrabee of Campbell, NY; Fred Larrabee of Waverly; George Larrabee of Waverly; and Charles Larrabee of New Albany RD; two sisters, Mrs. Arthur (Eudora) Woolsey of Lakeland, Fla. And Mrs. Manley (Irene) English of New Albany RD; three half-sisters, Mrs. Reese (Edna) Pisaneschi of Camptown, Pa., Mrs. Carl (Leona) Corie of Wysox and Mrs. George (Marion) Tomko of Denville, NJ and one grandchild. Friends may call at the Parkhurst Memorial Presbyterian Church today from 2 to 4 and tonight from 7 to 9. Funeral and committal services will be held at the church Sunday at 2 p.m. with Rev. Frank Russell, pastor, officiating. Burial will be in Highland Cemetery, Elkland. Arrangements were made by the Kenyon Funeral Home in Elkland. Clara G. Age 82, of North St., Elkland, PA, died December 23, 2005 at Broad Acres Nursing Home, RD., Wellsboro, PA. She was born April 23, 1923 in Swampscott, MA, the daughter of Charles and Filomena Mariano Lasano. She was a member of St. Thomas Catholic Church and enjoyed playing bingo. She is survived by husband, Richard; daughters and sons-in-law, Pamela and Richard Harris, Swampscott, MA, Paula and Frank Velluto, Melrose, MA; grandchildren, Michael, Michelle and Melissa Harris, Juli Ann and Christopher Velluto; brothers, Angelo Lasano, Charles Lasano, Rocco Lasano, all of Swampscott, MA; sevearl nieces, nephews and cousins. Friends are invited to call at the Kenyon Funeral Home, 214 Main St., Elkland, PA, on Monday, 9:30 to 10:30 a.m. A Mass of Christian Burial will be conducted Monday at St. Thomas Catholic Church, Elkland, PA, following calling hours at 10:30 a.m. Rev. Joseph T. Gilbert officiating. Burial will be in Highland Cemetery, Elkland, PA. Memorials may be made to Broad Acres Nursing Home, RD., Wellsboro, PA 16901. Catherine Losey Warren, widow of the late Dr. Thomas R. Warren, died at her home in Elkland on May 10, and was laid to rest in Highland cemetery on Monday afternoon, May 14th. She was born at Nelson, July 15, 1839, her father, Artemus Losey being one of the pioneer settlers of the Cowanesque Valley. Her early education was received at a private school for young ladies which was at that time a popular school in Lawrenceville. Her studies there were followed by 2 years' work at Alfred University. In 1857 she was married to Dr T R Warren, and after several years spent in the West, they returned and became residents of Tioga, PA until 1887, when they removed to Elkland. Of French Huguenot descent through her father, and of Pilgrim extraction by her mother, she naturally inherited sturdy religious principles, and early in their married life she and her husband (who was a "birthright member" of the Quaker church) united themselves with St Andrew's Episcopal Church in Tioga. For the last 20 years of her live she was a great sufferer from asthma but bore her affliction with Christian resignation. Being fond of reading and of writing, she spent much of her shut-in life with her books, her pen and her bible. Her friends found her a most interesting companion, thoroughly conversant with all the topics of the day. When her eyesight failed she found her cross almost heavier than she could bear and she longed for the time to come when she would be called home to eternal rest. She is survived by one son, Roy Warren, a pharmacist in Elkland; a daughter, Clara Warren Vasey, and one sister, Mrs. M B Seely, of Nelson. Ellen Lovell Age 84, of Fitzpatrick Hill Road, Montour Falls, NY, died on Monday, June 12, 2006, at Arnot Ogden Medical Center, Elmira, NY. Mrs. Crane is survived by her children, Charlie Crane, Janice Bastian, and Ben Crane; six grandchildren; and ten great-grandchildren; brother, Charles "Bud" Lovell of Catharine, NY; and several nieces, nephews; and many good friends. Relatives and friends are invited to attend a Memorial Service for Mrs. Crane on Saturday, June 24, 2006, at 11:00 a.m. at the Kingdom Hall of Jehovah's Witnesses, 2590 Route 414, Montour Falls, NY. Burial will be in Highland Cemetery. Arrangements entrusted to the Vedder and Scott Funeral Home, Odessa, NY. William Mack, aged 76 years, of Elkland, died from a heart attack just before the beginning of a basketball game at Elkland, Friday night. Mr. Mack was seated in the new Elkland High School gymnasium when he suddenly fell over. He was carried out and a doctor called. He was pronounced dead after an examination by the physician. Mr. Mack lived in or near Elkland all his life. Recently he resided with a daughter, Mrs. Edward McDonald, of Elkland. Age 74, of 109 E. Main St., Elkland, PA, died July 4, 2006. He was born in Italy and was a former employee of Corning Glass Works. He was an avid fisherman and handyman and enjoyed playing shuffleboard. He is survived by sons and daughters-in-law, Anthony and Janet Magnotta, Tioga, PA, William and Phyllis Magnotta, Mansfield, PA, Ugo and Janet Magnotta, Elkland, PA; grandchildren, Marcia Magnotta, Covington, PA, Marisa Magnotta, Osceola, PA, Valerie Magnotta, Williamsport, PA, Andrea Magnotta, Mansfield, PA, Josh Magnotta, Elkland, PA, Sierra Magnotta, Elkland, PA; special niece, husband and children, Rose and Kenneth Windows, RD Tioga, PA, Nicole, Angela, Steffanie and Kenny Bill; special caregiver, Tamara Jeffers, Osceola, PA. Friends and relatives are invited to a graveside service at Highland Cemetery, Elkland, PA, Friday, July 7, 2006, at 2:00 p.m. Rev. Joseph T. Gilbert, offc. Arrangements are in care of the Kenyon Funeral Home, Elkland, PA.
Age 66, of #7109 Rt. #49W., Osceola Twp., PA, died Sunday, April 8, 2007, at his residence. He was born June 4, 1940 in Elkland, PA, the son of Roy and Bernice Hanes Main. He retired from the United States Air Force after serving for 21 years with tours of duty in Vietnam and the Philippines. He was a member of the Knoxville V.F.W. #6753, and the American Legion Post #428, Elkland, PA. He is survived by his children, Forrest Jr., Patty and Nancy; sister, Florella Gable, Freeman, NY; brothers and sisters-in-law, Rodney and Joan Main, Elkland, PA, Jim and Peg Main, Elkland, PA, Roger and Brenda Main, Osceola, PA; several nieces, nephews and cousins. Family and friends are invited to call at the Kenyon Funeral Home, Inc., #214 West Main Street, Elkland, PA, Wednesday from 2-4 and 6-8 p.m., where funeral services will be conducted Thursday at 11:00 a.m. Burial in Highland Cemetery, Elkland, PA. Pastor Larry O'Dell officiating. In lieu of flowers, memorial donations may be made to the Valley Community Ambulance Assn., and the Osceola Vol. Fire Co. in Forrest's memory. died on Friday, April 13, 2007, age 87, following a brief illness at Rochester General Hospital. Margaret is survived by her son, Jack (Marcy) Fairclough of Pittsburgh; grandchildren, Lori and Eric; brothers, George Rockwell, Walter Manley; sisters, Mary Henson, Florence Williamson, Vera Rogers; sister-in-law, Ruby Manley; several nieces and nephews. She was predeceased by her husband, William in 1975; by sisters, Beatrice Cashdollar, Catherine McRonald, Frances Noble, Matie Stevens, and by brothers, Samuel, Carl, Thomas and Charles Manley. Peg was a member of the Order of the Eastern Star, as well as the V.F.W. Family and friends are invited to call on Thursday (4/19) from 11 - 1 p.m. at the Kenyon Funeral Home, 214 West Main Street, Elkland, PA. Her funeral service will commence at the conclusion of visitation. Interment will be at Highland Cemetery in Elkland. --Mr. John McGuire, aged 64, died at his home in Elkland early last Tuesday morning of pneumonia, after an illness of one week. Besides his wife, he is survived by three stepdaughters - Mrs. Stella Bentley, of Mills, Pa; Mrs. Rosa Pearce, of Corning, and Mrs. Nellie French, of Middlebury, and one sister, Mrs. M. J. Spaulding, of Ogdensburg. Mr. McGuire was born in Saratoga, N.Y., June 1, 1844. The funeral was held on Friday, at 9:30 a.m., at St. Thomas' church, burial in the Highland cemetery. McINTYRE, Hiram C., 73, of 239 Pattison Extension, Elkland, died at home Tuesday, January 2nd, 1973. He was a retired crane operator of the Ingersoll-Rand, Painted Post. Mr. McIntyre was a native of Monterey, N.Y., born on March 5, 1899. Calling hours will be held this afternoon at the Kenyon Funeral Home in Elkland from 2 to 4 o’clock and this evening from 7 to 9 o’clock. Funeral and committal services will be held there Friday afternoon at 2 o’clock with thr Rev. William H. Harris of Tioga Episcopal Church, officiating. Burial will be made in Highland Cemetery, Elkland. Mr. McIntyre is survived by his wife, the former Mary Spencer, and the following: son, Ralph McIntyre of RD2, Beaver Dams, N.Y., step-sons, Morell Schoonover, Roy Schoonover, William Schoonover, all of Elkland; brother Joseph McIntyre of Corning, N.Y., sisters, Mrs. Winnie Wheeler of Painted Post, N.Y., Mrs. Marion Rossi of Elmira, four grandchildren and several nieces and nephews. Joan M. Age 75 of #105 Proctor Avenue, Elkland, PA, Wednesday, October 10, 2001 at Broad Acres Nursing Home, Wellsboro, PA. She was born November 13, 1925 in Tuscarora Twp., NY, the daughter of Fred & Gertrude Binkey McMinds. She was a homemaker. She was a life member of the Cowanesque Valley Rod & Gun Club. She was a former member of the Women of the Moose, Elkland, PA. She was a member St. Thomas the Apostle Catholic Church, Elkland, PA. She formerly worked in the Elkland Boro Office and as a clerk in Elkland's retail stores. Survived by: "Her Husband of 54 years" Robert; Son, Kevin Dorn, Elkland, PA; Granddaughter, Ann Marie Dorn, Elkland, PA; Brother & Sister-in-law, Don & Shirley McMinds, Elmira, NY; Brother Fred McMinds, Wilmington, DE; Several Nieces, Nephews & Cousins. She was preceded in death by a brother, Jim McMinds. Friends are invited to call at the Kenyon Funeral Home, Inc., 214 West Main Street, Elkland, PA, Friday from 2-4 to 7-9 PM a prayer service will be conducted at 7:00 PM at the funeral home. A Mass of Christian Burial will be conducted Saturday at 10:00 AM at St. Thomas' the Apostle Catholic Church, Elkland, PA, Rev. Wieslaw Zeibacz Offc. Burial in Highland Cemetery, Elkland, PA. Memorial donations may be made to your local chapter of the American Red Cross in Joan's memory. WILLIAM B. MEAD Killed. – Fell From a School House at Ridgway to Death. A telegram was receive Monday evening imparting the sad news that W. B. Mead a well-known and highly respected citizen of this place, had met instant death as the result of a fall from a school house building at Ridgway on which he was working. The terrible news was broken to Mrs. Mead as gently as possible but she was prostrated with grief. Monday afternoon, Mr. Mead, who is a carpenter, was working on the cornice of the new Ridgway school house and had finished his work and was about to descend. In doing so he put his hands on a scantling which he supposed was fastened to the building, but the stick proved to be loose and the unfortunate man lost his balance and went down through the partly finished building to the cellar. The horrified witnesses of the tragedy hastened to his side but he was beyond earthy aid, the fall having caused almost instant death. The body was brought to this place for funeral and burial arriving on the afternoon train Tuesday. The funeral will be held from his late home today at 1 o’clock. Interment in the Elkland (Highland) Cemetery. MILES Chester Miles, Elkland, Pa, 83, of 302 Coates Avenue, died Wednesday at his home. Friends may call at the Charles L. Kenyon Funeral Home here today 7-9 and Friday 2-4 and 7-9PM. Services will be held there at 2PM Saturday, the Rev. M.D. Cole and the Rev. John Carlson officiating. Burial will be in Highland Cemetery. Mr. Miles was a member of the Elkland Methodist Church and an employee of the Elkland Leather Co., 46 years. He was born Jan. 11, 1893 in Cameron Mills, N.Y., son of William and Ann Taylor Miles. Surviving are his wife, Rose; five daughers, Mrs. Velma Maguire of Ovid, N.Y.; Mrs. John (Catherine) Mannix of New Shrewbury, N.J.: Mrs. Alex (Mable) Rosky; Horseheads, N.Y.; Mrs. Arthur (Eleanor) Allen, Elkland; also four sons, Keith Miles, Bradford, Pa.; Clarence W. of Mamaroneck, N.Y., Russell R. of Alexandria, Va.; Rev Joseph Miles, Mansfield. Other survivors are 23 grandchildren, 29 great grandchildren, and three great great grandchildren. MILINSKI Leo O. "Loving Husband and Father" Age 82, of 407 West Main Street, Elkland, PA, died Thursday, March 16, 2006, at Arnot-Ogden Medical Center, Elmira, NY. He was born January 25, 1924 in Powell, PA, the son of Casper and Antoinette Pupa Milinski. He was a member of St. Thomas Catholic Church, Elkland, PA. He worked for "29" years for the Elkland Leather Company and he retired from Corning Inc. He was a veteran of the U.S. Army who served in Europe during WWII. Leo played minor league baseball and umpired at all levels of organized baseball for many years. He was inducted into the Tioga County Sports Hall of Fame. Survived by "His Wife of 55 years", Lois Bauman Milinski, who he married on April 22, 1950; son and daughter-in-law, Michael and Molly Milinski, Newburg, MD; daughter and son-in-law, Jan and Fred Hurwitz, State College, PA; five granddaughters; one great-granddaughter; sisters, Vicky Kozey, Corning, NY, Barbara Strauss, Borden, NY, Mary Lewis, Jackson, NJ; brother, Edward Milinski, Houston, TX; several nieces, nephews and cousins. Family and friends are invited to call at the Kenyon Funeral Home, Inc., #214 West Main Street, Elkland, PA, Sunday from 4-6 p.m. A Mass of Christian Burial will be conducted Monday at 10:00 a.m. at St. Thomas Catholic Church, Elkland, PA. Rev. Joseph T. Gilbert officiating. Burial in Highland Cemetery, Elkland, PA. In lieu of flowers, memorial donations may be made to the Falck Cancer Center and your local chapter of the American Heart Assn. in Leo's memory. in-law, George and Vera of Tonawanda, N.Y; and William and Debra of Westfield; a son, Paul of Niles Valley; a daughter-in-law, Kathryn Davenport of Knoxville; a sister, Ruth Fett of St. Louis, MO. ; eight grandchildren; 19 great-grandchildren; and four great-great-grandchildren. Services were held Sunday, March 27, at the Kenyon Funeral Home, Main Street, Elkland. The Rev. Robert Goodrich officiated. Burial was made in Highland Cemetery, Elkland. Memorial donations may be made in her name to the Cowanesque Valley Ambulance Association or the Tioga County Hall of Fame in care of Scott Keck at the Citizens and Northern Bank in Elkland, PA. 16920. MOORE Leland U. Age 79, of 303 East Main St.,Elkland, PA, diedSaturday evening, December 11, 2004, at Manor Care North in Williamsport, PA, with his family at his side. He died peacefully in his sleep after a long illness. Mr. Moore, the son of George and Bertha Stafford Moore, was born in Osceola, PA, on September 25, 1925. Leland attended school in Elkland until he volunteered to join the Army in the fall of 1943. He first saw combat in Word War II in the European Theater at the Battle of the Bulge where he was awarded a Bronze Star. Leland later served with the Army of Occupation in Japan before returning to the US. He served ten years in the Army and at Fort Campbell, KY. He was honorably discharged from the Army's 11th Airborne Div. On February 12, 1949, Leland Moore wed the former Mary Louise Dorrance, also of Elkland, PA. The couple celebrated their 55th anniversary earlier this year. Mr. Moore was, for many years, employed by the Elkland Leather Company. He was a fork lift driver who loaded trucks and rail cars and later worked as a leather sorter who graded finished tanned hides for shipment. After retirement and before moving with his wife to Manor Care North in Williamsport, PA, in September of this year, Leland spent summers in Elkland, PA, and winters in Haines City, FL. In his free time, Mr. Moore enjoyed coaching little league, camping, traveling and doing home remodeling and lawn care projects. Leland Moore is survived by his wife, Mary D. Moore; daughter and son-in-law, Patricia M. and Michael G. MacDonald, Jamesville, NY; granddaughters, Alexis C. MacDonald, Alexandria, VA, Hillary E. MacDonald, Jamesville, NY; daughter-in-law, Lisa Moore Bock, Williamsport, PA; sister, Creta Gee, Waverly, NY; cousin, Winifred Carl, RD. Knoxville, PA; several nieces and nephews. Mr. Moore was preceded in death by his son, Dennis E. Moore, formerly of Montoursville, PA; a granddaughter, Alison B. MacDonald; a sister, Ursel Learn; and his two brothers, Charles and Ernest Moore. At the request of the family, there will be no calling hours. A memorial service will be held at Manor Care North, 300 Leader Drive, Williamsport, PA, on Wednesday, December 15, 2004, at 7:00 p.m. Interment will be in Highland Cemetery, Elkland, PA. The family respectfully declines flowers. Memorial donations may be made to the American Heart Assoc., 625 West Ridge Pike, Conshocken, PA 19428, or American Diabetes Assoc., P.O. Box 2680, North Canton, Ohio 44720. Arrangements are in care of the Kenyon Funeral Home, 214 Main St., Elkland, PA.
MORTIMER - GOODRICH, Nancy M.
MOSHER, Burton E., age 60, of RD Osceola, Pa. Tuesday, December 18, 1973 at the Soldiers and Sailors Hospital, Wellsboro, Pa. Friends may call at the Charles L. Kenyon Funeral Home, Elkland, Pa. Wednesday 3 to 5 and 7 to 9. Funeral and committal service there Thursday 2 p.m., Rev. Harold March officiating. Burial at Highland Cemetery, Elkland, Pa. Survived by wife Florence; son, Harley L. Mosher of Corning, N.Y.; daughters, Miss Elaine Mosher of Osceola, Pa., Mrs. Kent (Phyllis) Slocum in Nigeria, Step-sons, Clayton Brown of Elkland, Pa., Roger Brown of Tribly, Florida. Step-daughters, Mrs. Robert (Caroline) Phelps of Bangor, Pa., Mrs. Lester (Laura) Swain of Tioga, Pa.; Brother, Lawrence Mosher, of Osceola, Pa.; Half-sister, Elizabeth Stevens of Floirda. 23 grandchildren; 3 great-grandchildren. MOSHIER, Allen George – Allen George Moshier died suddenly at his home in Coudersport October 22, aged 63 years. He was a resident of Elkland for 24 years. About 15 years ago he moved with his family to Coudersport, where he had since resided. The remains were taken to Elkland, where the funeral was held in the Methodist church, Rev. Mr. Pitts officiating; burial in the Highland cemetery. He is survived by his widow and four children, Mrs. Lynn Eggleston, Margaret, Allie and Raymond, all of Coudersport. Wellsboro Agitator, 5 November 1919. Mrs. Carrie Mourey Carpenter, died at her home in Arlington, N. J., March 6, after an illness of only a few hours. She had apparently been in her usual good health and was engaged in conversation with one of her neighbors when she became unconscious at 5 o'clock, Tuesday, March 4, and died Thursday, about 1 o'clock, without regaining consciousness. Although Mrs. Carpenter had been subject to much illness for the past four years, her friends believed her to be better and her sudden death is a great shock. Carrie Mourey Carpenter was born in Farmington, April 19, 1871, the second child of Ira H. and Fannie C. Mourey. At Christmas, 1890, she was married to Philip T. Carpenter, of Little Marsh, and to this union were born three children, Miss Blanche Carpenter, Mrs. Pearl Sydow and Lou C. Carpenter. The family resided at Little Marsh for several years and then removed to Arlington, N.J. where they have since resided. Mrs. Carpenter was a devoted Christian and a member of the M. E. church of Arlington. She had not a thought that was not a gentle one, not one that did not hold all the world in the arms of kindness. She was to her friends what the sunshine is to the world and this eclipse to them brings both darkness and chill. She was always gentle, lovable, and her sweet face made sunshine in shady places. If strangers felt the charm of her courtesy and happy, sunny temperment, how much more so to the members of her own family upon whom she lavished all the sweet earnestness and love of her mind and nature. The remains were brought to the home of Mrs. Carpenter's mother in Elkland, where the funeral was held Sunday afternoon. Rev. Mr. Chattin officiating and she was laid to rest beside her father, who died three years ago. She is survived by her husband, three children, her mother, two sisters, Mrs. Alice McCallum and Mrs. Lyda Baker, and one brother, L. C. Mourey. The sympathies of this community go out to the bereaved family. Buried in Highland cemetery. Death of Ira H. Mourey - Farmington, Jan. 24 - Ira H. Mourey was born in Farmington, July 15, 1841, and died Jan. 3. 1916. He was a son of Daniel and Eliza House Mourey. On March 21, 1869, he married Fannie C. Merrick, of Little Marsh. To them were born five children: Mrs. Alice McCallum, Mrs. Carrie Carpenter and Lou C. Mourey of New York City; Mrs. Lida Baker, of Elkland, and Wheeler O. Mourey, now deceased. Mr. Mourey had always resided on the old Mourey homestead in Farmington until about seven years ago when he purchased a home on Parkhurst street, Elkland, where he had since resided. Mr. Mourey was a member of the M. E. church of Elkland. He is survived by his wife, the children named, eleven grandchildren and an aged sister, Mrs. Nancy Cloos, of Little Marsh. Funeral services were held at the home Friday afternoon and were largely attended. Many friends from Farmington, Nelson, Little Marsh, Middlebury, Osceola, Knoxville and Galeton were present. Rev. Mr. Chattin, assisted by Rev. Mrs. Robb, had charge of the services. The following neighbors and friends were bearers: Messrs. Frank Simpson, Newell Cilly, Geo. Greengrass, Judson Buckbee, Frank Cornelius, Otis Clark, Sherman Weeks. Interment in Highland cemetery. MOYER - DEAN, Annabelle C.
Mrs. Elizabeth Youngs, 81, of Gaines, died Wednesday, November 24, 1965 in Wellsboro Hospital. Funeral was held Saturday, November 21, in the First Methodist Church, Gaines with the Rev. William Luck officiating. Burial was in Highland Cemetery, Elkland. Survived by husband, Fred, son, Aubrey Christian of Wellsboro; two daughters, Mrs. Pearl Cooper of Gaines and Mrs. Daisy Lowery of Sabinsville; 6 grandchildren; 8 great grand-children and one great-great-grandchild. She was a member of Rebekah Lodge of Gaines; Thimble Club of Gaines and attended the Methodist Church of Gaines. Sunday, November 27, 1955, following surgery performed last Thursday. Mr. Newman had suffered from a serious heart condition for several years. 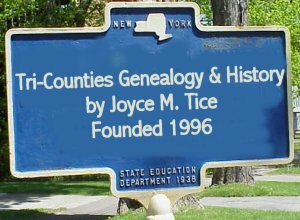 He was born at Tuscarora, NY and was the son of Boraldus and Annetta Johnson Newman. His survivors include his wife, Nellie, of Osceola; 2 sons Russell of Elkland and Arthur of Osceola; two daughters, Mrs. Augusta Jacobson of Knoxville and Mrs. Mary Redner of Elkland; a brother Charles Newman of Corry, Pa; mine grandchildren, seven great-grandchildren, several nieces and nephews. Funeral services were held at the Osceola Methodist Church on Wednesday, November 30 with the Rev. Norman Mead of Elkland and the Rev. Doyle Shields of Knoxville officiating. Burial was made in Highland Cemetery, Elkland. NOBRIGA - Joseph W. Nobriga, age 70, of 8 Jacqueline Drive, Painted Post died Sunday, February 10, 2008 at Absolut Care at Three Rivers, Painted Post. Mr. Nobriga was born in Corning on January 28, 1938, the son of the late Peter and the late Maxine (Beebe) Nobriga. He married Phyllis R.Cevette on January 8, 1983 in Addison, NY. She survives him. Joe graduated from Addison Central School, class of 1957 and served with the U.S. Naval Reserves for 8 years. He was retired from Dresser-Rand, Painted Post where he had worked for over 40 years as a machinist. Joe was an avid sportsman who enjoying duck hunting and fishing. He loved outdoor photography and spending time with his family and friends. He especially enjoyed watching his grandchildren play sports. George O'Bran, of Elkland, died Nov. 4. He was born 82 years ago and spent his entire life in Elkland. Survivors are widow, Cora Ann Rochelle O'Bryan; one daughter, Mrs. Rose Davis; two sons, Wallace and O.I. O'Bryan , of Elkland. The funeral was held Thursday, Rev. Frank Russell officiating; burial in Highland cemetery at Elkland. Kathleen L. Fish, 44, of Elkland RR 1 died Saturday, Oct. 30, 1993 at Robert Packer Hospital, Sayre, PA. Born July 30, 1949 in Wellsboro, PA, she was the daughter of Howard R. and Shirley J. Spencer Outman. She was a member of the Elkland United Methodist Church and Elkland Moose. She was a volunteer at the Elkland Softball Tournaments. She was a computer operator at Corning Inc., Corning, N.Y. Preceding her in death was her father, Howard R. Outman, in 1992. Surviving besides her mother of Williamsport are two sons, Matthew J. Fish, of Hanover and Jason D. Fish, of Elkland; one brother, Paul Outman of Little Marsh; one grandson: Jacob Howe, of Hanover; several nieces, nephews, cousins, aunts and uncles. Friends called at the Kenyon Funeral Home, Elkland on Monday, Nov. 1, with the Rev. M. Lee Ellenberger, officiating. Burial was made at Highland Cemetery, Elkland.